Haunted Chicago , Yes There Are Ghosts In Chicago. Chicago has all kinds of spooky paranormal activity going on. 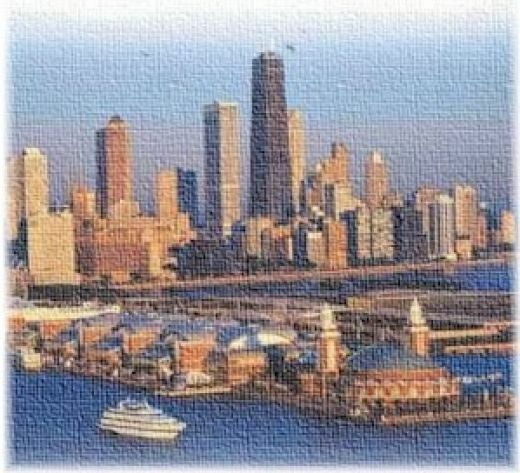 Chicago with its rich history including Murders , Mafia Executions , Indian Massacres , Civil War Prison Camps and much more claims to have more ghosts than any other American city. And it just may be true. Ghosts are said to appear more often where tragic deaths have occurred and Chicago has had its share of tragic deaths. 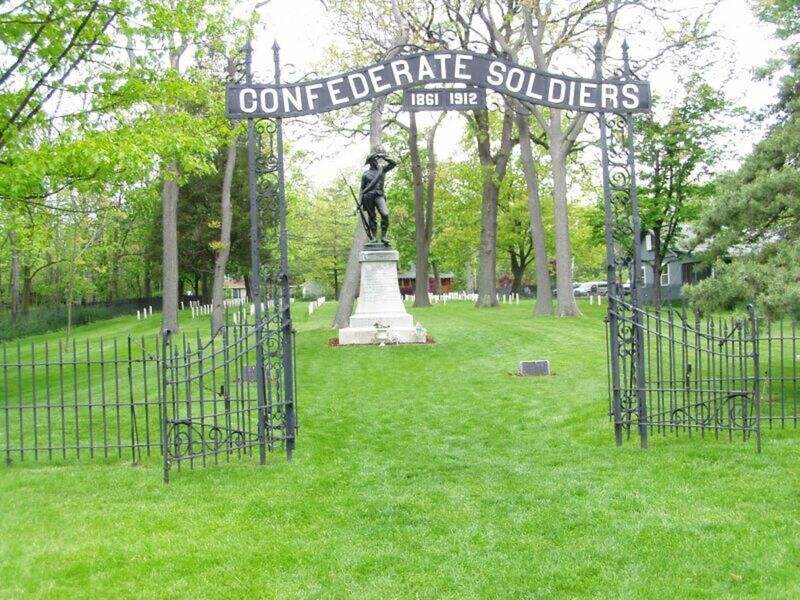 Camp Douglas which was located on the south side of Chicago became a place of brutal misery to the Confederate prisoners imprisoned there. Stories of rat infested over crowded conditions circulated through the southern newspapers during the Civil War. And the camp soon earned the name it would later come to be known by , " Eighty Acres of Hell ". It is now estimated that 6000 plus men died at Camp Douglas of scurvy , smallpox , and starvation. The camp was closed down in the summer of 1865 and the remaining prisoners were made to take an oath of loyalty to the United States and set free. The camp was officially closed in November of 1865 and the buildings were torn down shortly after. And it was not long before the tales of Confederate ghosts on and around the former prison camp site started. People over the years have quite often reported screams of pain and cries of help coming from the area where the prison camp once stood.Many times over the years people have claimed to smell the horrible smell of bodies decaying in the area. The sound of men marching is quite often reported. Today the Lake Meadows Condominiums are now located where the prison camp used to be and the tales of paranormal activity continue. People who now live at the Lake Meadows Condominiums claim to hear men talking inside their units and some have claimed to see the ghosts of men in ragged clothing. A one armed man dressed in a ragged confederate uniform has been seen inside the condos of several different residents. 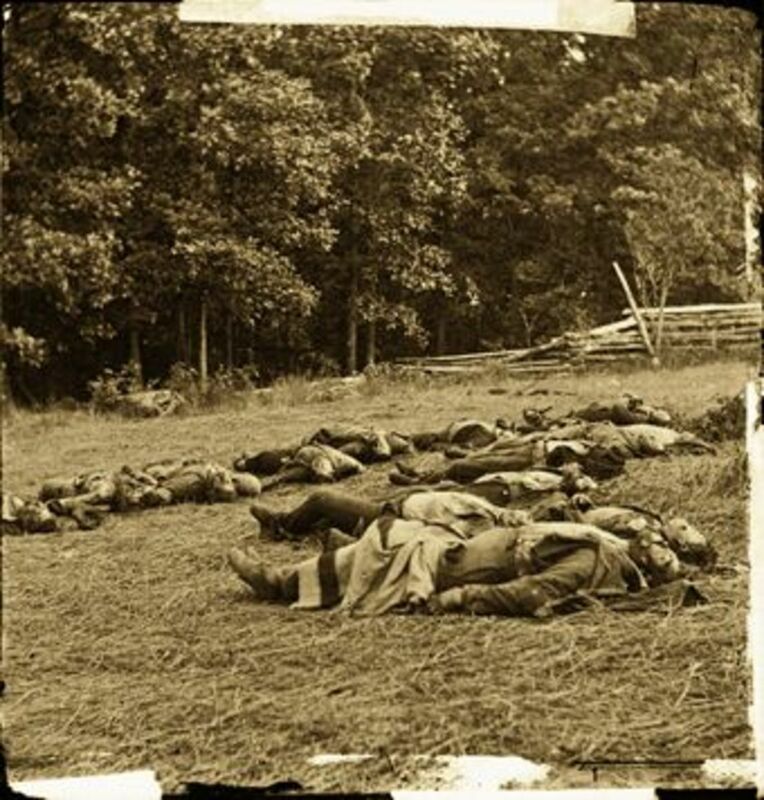 Over the years construction projects in the area have uncovered many graves of Confederate dead. And every time a grave is disturbed the level of paranormal activity goes up. Grave in Crown Hill Cemetery, Indianapolis, Indiana. 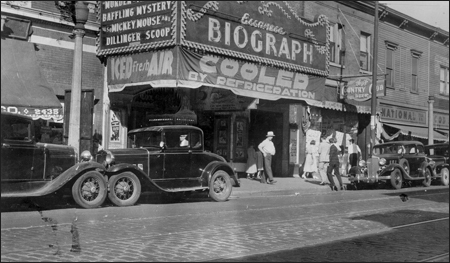 Biograph Theater in 1934, soon after Dillinger's death. 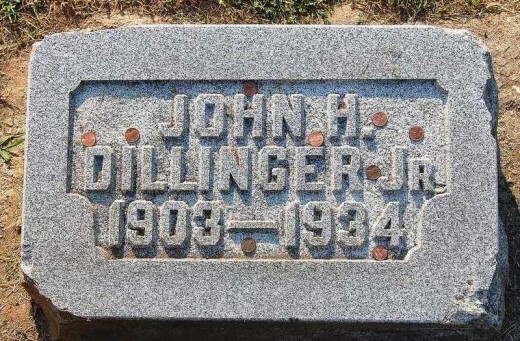 In case you don't know John Dillinger was a bank robber in the mid west during the early 1930s. 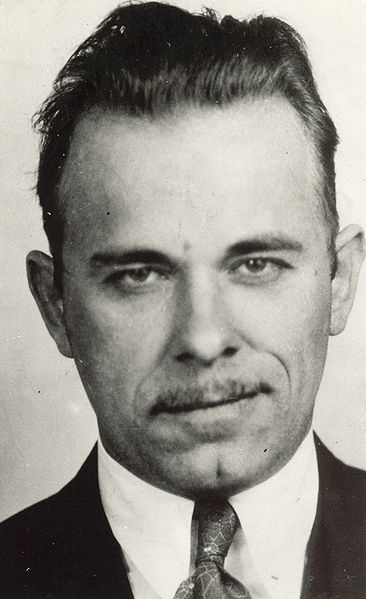 Dillinger robbed at least two dozen banks and four police stations and escaped from jail at least twice. He was thought of by many as the modern day Robin Hood. On July 22 1934 John Dillinger along with Anna Sage wearing a red dress went to the Biograph Theater to see a gangster movie. Ann Sage had sold out John Dillinger and she wore a red dress to make sure John Dillinger would be identified. When he came out of the theater Melvin Purvis moved to arrest Dillinger but Dillinger pulled a gun and attempted to flee. He was shot three times once through the head and was dead where he fell. 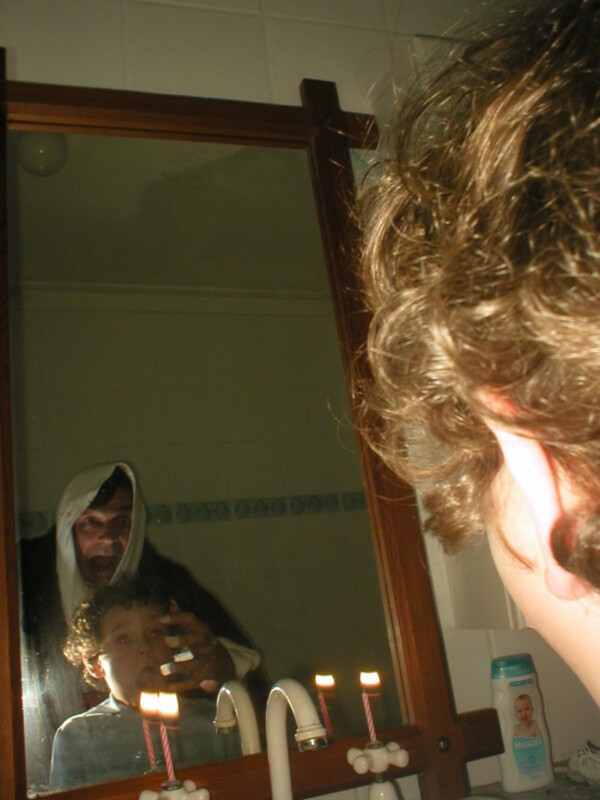 And this is where the paranormal activity started. And shortly after people started seeing Dillinger all over Chicago including the spot where he was killed at the Biograph Theater. Many people over the years saw Dillinger walk out of the theater only to disappear right in front of them. He is also seen quite often in and around his grave. For years in the alley where he died people claimed to see him laying on the ground and some people claimed a stain in the alley was blood from where John Dillinger was shot by the FBI. 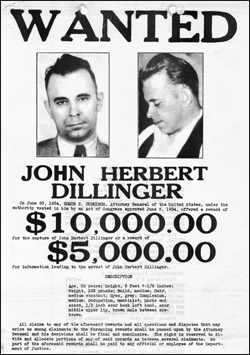 Other people have claimed to see Dillinger walking in the area of where he was shot. The Grimes Sisters bodies were found here at this location on German Church Road. Their bodies can be seen over the guard rail to the left. One of the greatest unsolved mysteries in Chicago is who killed the Grimes sisters. Who killed Barbara and Patricia and what happened to them between the time they vanished and when they were found. And who or what haunts the spooky stretch of road where their bodies were found. On December 28th 1956 the two girls left their home for a mile walk to the theater to watch the Elvis Presley Movie , " Love Me Tender ". Barbara was 15 and Patricia was 16. The girls were last seen alive on the bus on the way home at 11 P.M. The girls were missing for the next 25 days before their naked frozen bodies were found along Devils Creek on German Church Road. Over the next few weeks there were reports of sightings of the girls all over the city of Chicago and the police thought the girls might have run away but the girls mother said no way. The girls bodies were finally found on January 22 1957. The girls bodies had been dumped on top of each other. People were really angry that the girls had been discarded like trash. Authorities at the time said that the girls had only been dead for a few days. Barbara and Patricia were buried on January 28th exactly one month from the time of their disappearance. Their clothing like the girls killer was never found. Now more than 50 years later the mystery of who killed the Grimes sisters remains unsolved and probably never will be. 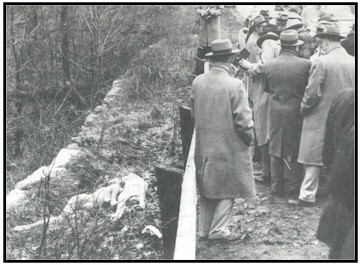 People in the area where the girls bodies were found claim to see a car pull up on the bridge and see a man dump bodies over the edge. People have even claimed to see two girls bodies laying on the ground below the bridge. Other people have reported screams of help and pleas of a young girl begging not to be hurt. The police have been called many times over the years by people claiming to have seen the bodies of two women on the ground under the bridge but when the police get there no bodies are ever there. So it seems there is a large amount of paranormal activity along German Church Road. 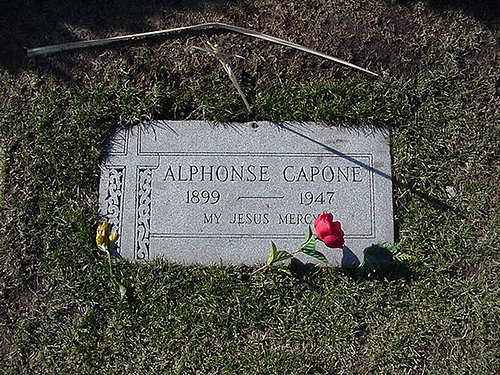 Al Capone is buried at Mt Carmel Cemetery in Hillside Illinois. He was born in Brooklyn in 1899 and he grew up t become the Mafia Boss of Chicago. In 1929 Alphonse Capone organized the most infamous massacre of the 20th century named the St Valentine's Day Massacre. 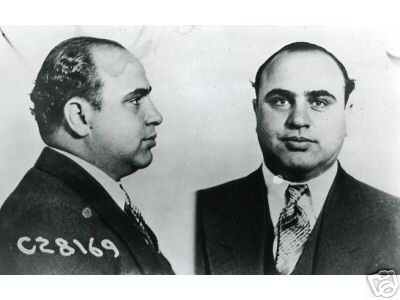 Eventually Al Capone was caught for income tax evasion and sentenced to eleven years in Federal Prison. He was first sent to Atlanta Federal Prison but he caused trouble there and was sent to Alcatraz Prison which was supposed to be at the time the worst Federal prison to be sent to. 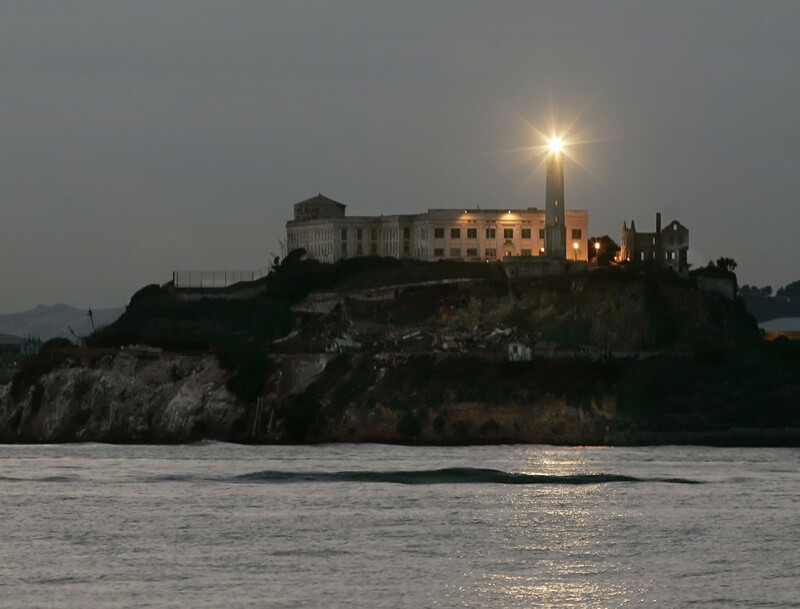 And its said that Alcatraz drove Al Capone insane. Before long Capone was refusing to leave his cell for meals and other prisoners would report that he would make his bed over and over some times as many as 100 times a day. It probably did not help his mental situation that Capone spent three long stretches in the hole during his time at Alcatraz Prison. During the time that Al Capone was at Alcatraz he was allowed to learn to play the Banjo and keep one in his cell. Now all these years later people on tours of the closed down prison claim to hear some one playing the Banjo. When they track down the sound they discover it is coming from you guesses it the former cell of Al Capone. 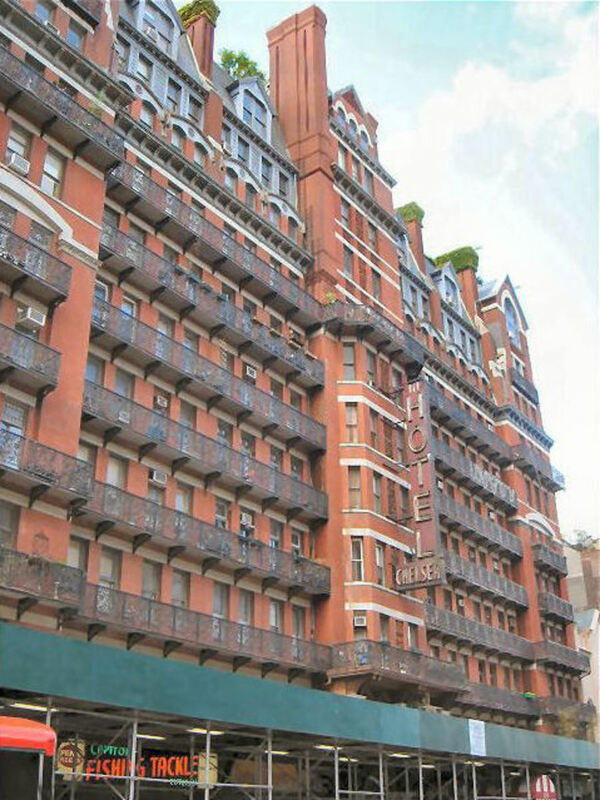 And over the years many people have described the Ghost of Al Capone on the street near the former Lexington Hotel Headquarters of his. People have reported him in several different Chicago locations and he is also reported in the vicinity of his grave at the Mt Carmel Cemetery in Hillside Illinois. There he appears standing near his grave crying. When people approach he vanishes. 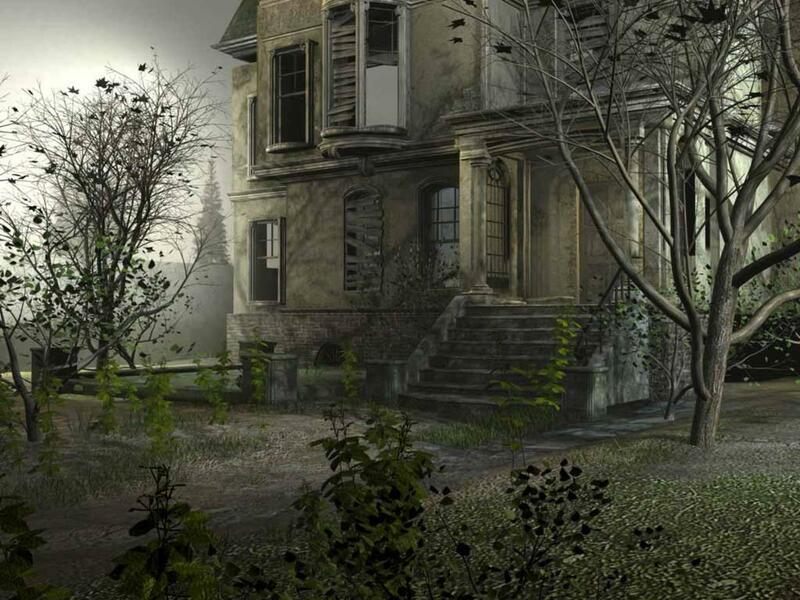 And those are some of the best Chicago Ghost Stories. Do you know another Chicago Ghost Story? 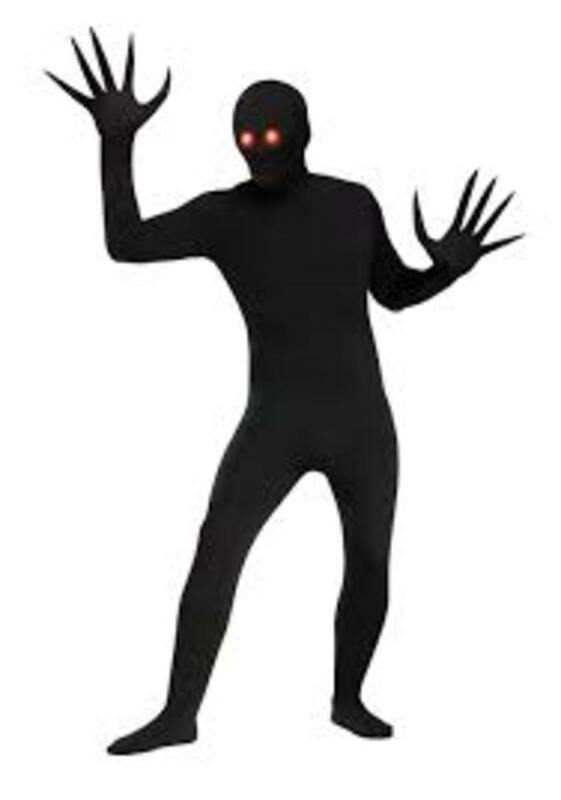 Why not post your Chicago Ghost Story below. And thanks for reading my hub page on haunted Chicago. Please post your comments about Haunted Chicago now. Chicago really does have some great ghost stories. And I really enjoyed this information. Thanks much. 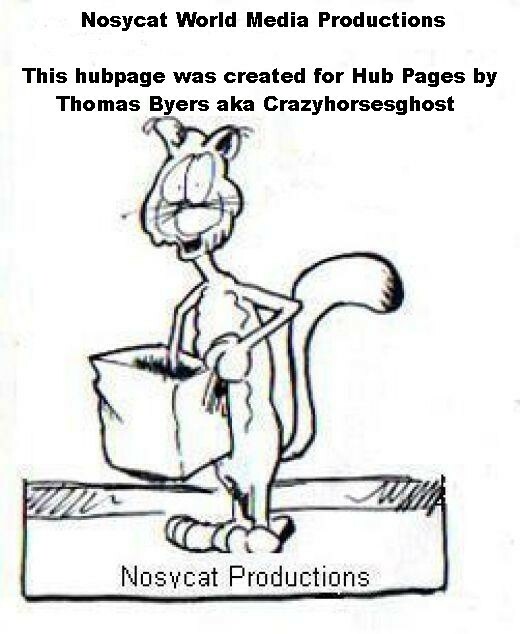 i always enjoy your paranormal hubs, crazyhorsesghost. this is no exception! very intriguing and kept me captivated! voted up. Thanks for the great comments about haunted Chicago. They are appreciated. Great Writer - fatten me up with your great recipes, then scare it off of me shortly thereafter...Thank you.